Well if I'm not mistaken there is in this thread a photo of the family back in 1989 in which everyone, including Stefano signed the photo. Then there was in this thread or another from the forum a photo in which you could see all of the Hanover-Grimaldi-Casiraghi family signing a Christmas card. 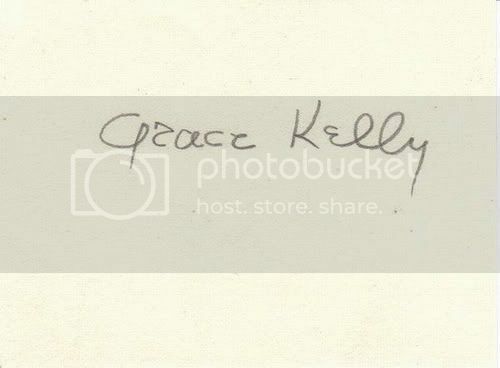 Even Princess Grace's signature is beautiful. She has beautiful handwriting. And WOW... her engagement ring takes my breath away! I have more common with Grace than I suppose. Lovely autograph, I would love to have it. It's so interesting to see the ancient document!!! This is a small piece of Monaco history. Thanks a lot, LadyMacAlpine. Wow, cool pics with Albert's signature! I like them! Princess Grace, Prince Rainier and their children. Does someone know if you'll get a photo or a photo with signature if you ask for it and write to the palace? 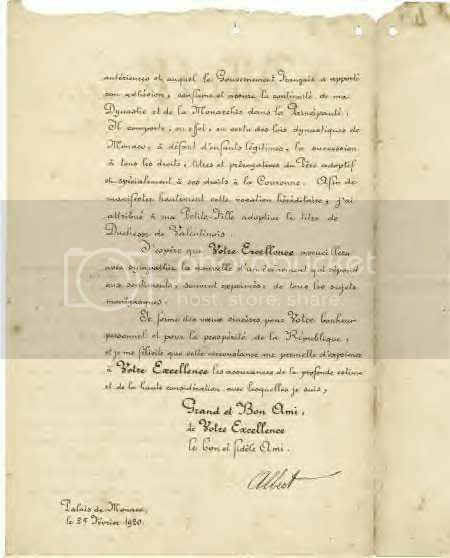 Yes, you'll get a kind letter, including a photo with signature. Now the decsion...who to write to first....Charlene, Albert, Caro...Steph?